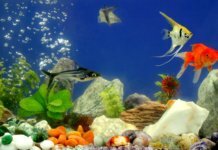 Aquarium equipment is often not cheap, especially not an aquarium chiller – which is precisely why you should choose wisely. 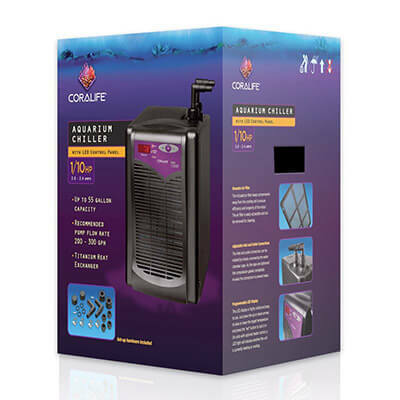 In this review, we reveal our top 5 aquarium chillers that deliver the most value and quality. Doesn't take up much space. Has a wide range of HP variations to choose from. Emits less heat than a regular chiller. Suitable for aquariums that hold up to 55 gallons of water. Flow rate suitable for 66-317 gallons per hour. An aquarium chiller is an external device that lowers the water’s temperature. 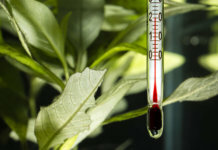 Why is it necessary to control water temperature? All aquatic inhabitants are cold-blooded and temperature changes affect them. Even the smallest drop or rise in temperature can severely stress and harm your fish. A chiller contains refrigerants and helps cool the water when the room temperature is higher than the optimal aquarium temperature. The cooling process is simple. Aquarium chillers don’t directly create cold, instead they’re just in charge of removing heat. The chiller’s refrigerant circulates through the unit and transports heat from the water, thus creating a cold environment. First things first, size matters. Your aquarium chiller should be just right – not too big and not too small. Picking out a chiller also depends on your tank’s water capacity. Most aquarium chillers’ power is measured in HP (Horse Power) – naturally, larger tanks will require more powerful chillers. Always make sure to ask around and get the right chiller for your tanks size. As chillers run on electricity, energy consumption is a very important, yet commonly overlooked aspect. An ideal chiller should be economical and waste as little energy as possible. 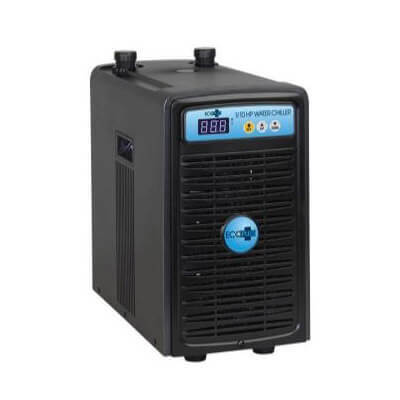 This aquarium chiller has been a bestseller, topping aquarium equipment lists because of multiple reasons. Versatility – Made from anti-corrosive titanium, it’s suitable for both freshwater and saltwater tanks. Despite its refrigeration capacity, it’s actually a subtle addition to your aquarium and won’t take up much space. Low noise levels. Although it looks powerful and intimidating, we found that this chiller is surprisingly silent when operating. User-friendly and comes with an LCD display that is very easy to use. 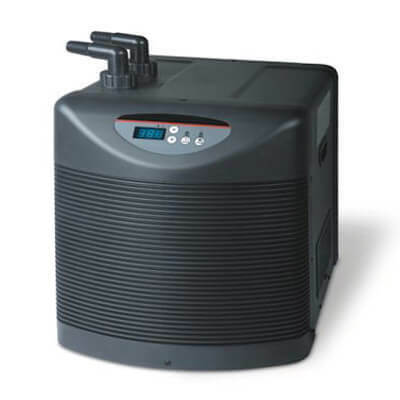 This chiller can usually be found in multiple variations, covering aquariums all the way up to 250 gallons. Is energy efficient – uses less energy compared to the majority of the products we tried out. Is simple to use – it comes with an LED temperature display. 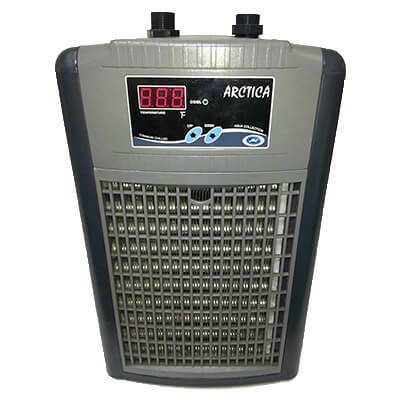 Has an anti-freezing system that prevents the heat exchanger from freezing. Is quick and easy to clean. We found that it runs quietly, and in cases when it does make noise, it’s not too loud or disruptive. Durability is a big plus. We found it to be extremely resilient because of its corrosion resistant material, and we couldn’t find a customer that had to replace any parts. It uses the eco-friendly refrigerant R-134A, which is one of the best and safest options money can buy. It’s known for its stealthy working manner – what is unbelievable is how well it does its job, yet in silence. We know how important energy saving is, so it’s a no-brainer that this chiller uses the bare minimum. It emits less heat than a regular chiller. You should be able to find the following horsepower variations: 1/3 HP, 1/5 HP, 1/10 HP and 1/15 HP. 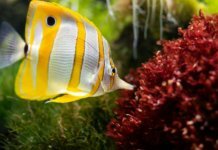 Coralife is a known brand and the name is very often synonymous with quality aquarium supplies. While not our top pick, this aquarium chiller lives up to the reputation and is overall a solid choice. It uses 1/10 HP to operate, and is perfect for aquariums that hold up to 55 gallons of water. It comes with a reusable air filter that you can remove manually, thus making it easier to clean. We found the installation and setup process to be very easy and intuitive. Even if you do have trouble, this chiller comes with a step-by-step instruction manual. 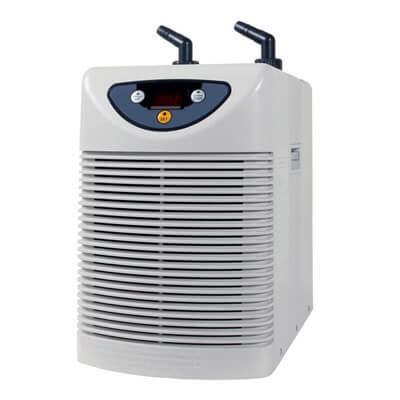 We found this chiller to be fairly quiet compared to many similarly priced products, which is why it’s perfect for office spaces and children’s rooms. Like all the other products mentioned above, we found it to be very easy to clean and maintain. Although it’s not as quiet as some of our other picks, we found its noise levels to be barely noticeable. It’s user-friendly with an LCD display that makes it easy to use. You should be able to find multiple horsepower variations, ranging from 0.1 HP to 0.5 HP. Its flow rate is suitable for water ranging from 66 to 317 gallons per hour.